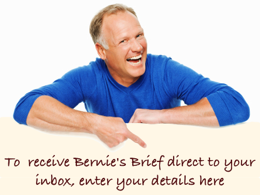 Bernie Kroczek Real Estate | To Open or Not to Open – That is the Question! “Home Opens” have been part of the real estate modus operandi for at least the past three decades. 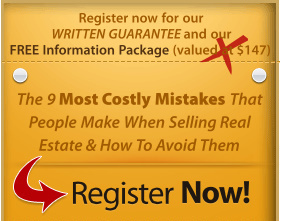 It is one of the prime methods of finding sellers (yes, sellers not buyers) taught by the various organizations who run the Real Estate Salesperson’s course. Every weekend come wind, rain or shine hundreds of real estate salespeople methodically hit the road, literally, putting out their “Home Open” signs as they engage in the weekly ritual of pretending to sell the property, whilst all the time really looking for new sellers who may be out and about checking out values in the area. How effective are “Home Opens” in selling the home? Not very is the truth. In fact it is a myth perpetrated by the real estate industry that most homes sell on the weekend. In fact most properties actually sell during the week from a private viewing, not from a “Home Open”. Why is this? Good question. For a start we now live in a 24/7 world where people have much more flexible work arrangements. In other words they are not chained to an office desk from 9 ‘til 5 which means they are freer to look at properties at various times on different days of the week. They are not just restricted to the weekends. The weekends seem to be more popular with buyers who are just starting to look and who may not have decided where to live or what type of property they would like. “Home Opens” are a good way of checking out the market for ideas. Potential sellers like to visit “Home Opens” in their area to get a feel for values. This makes them potentially more informed than some agents, particularly those who normally work out of the area. Genuine buyers, that is those who know where they want to live and are ready to buy today, actually prefer to view the home by appointment with the agent at their leisure and at a time that suits them. They feel less pressured and can spend more time at the property without the distraction of other “buyers” and an agent who is dashing to get to the next “Home Open”. 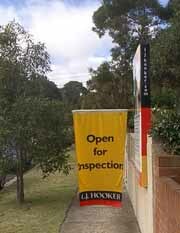 A common response from an agent to a phone enquiry is “it’s open on the weekend, come through then”. Not exactly what you would call great service is it? Another thing, why be restricted to viewing the property during a half hour time frame on a Saturday or Sunday which suits the agent but not you? The facts are “Home Opens” suit the agent more than the general public. They are a great way of picking up leads and then following up, if you are lucky. (See Glenn Twiddle – Secret Agent Shop). Most sellers, and I have to admit this surprised me, actually don’t want their home open on the weekend. They find it stressful cleaning and getting the house ready only for no one to turn up or, if they do for no real interest to be shown. It is not about the number of people who come through the “Home Open”, but rather the right people viewing the property. When people view by ‘appointment only’ you can be sure you are dealing with a serious buyer. If someone is not prepared to make an appointment to view the home it is a fair bet they are not yet ready to buy, if in fact they are a real buyer at all. Finally, the Real Estate Institute of WA put a notice to its members several years ago warning of the dangers of “Home Opens” in terms of potential burglaries. It’s a pity they didn’t put out the same warning to the general public. You may not be insured either as, according to the insurance company, you have invited the burglar into the home. Who is going to reimburse you if anything goes missing? Not the agent, that’s for sure. Want to know more about selling properties without the usual hype, call me at your leisure.